It is cold here! I was a little worried that there would be no cold snap - thus allowing all the daffodils to come up in February and that the fleas would happily multiply all winter waiting to attack. The kids had off yesterday - and Vince was busy. Edda not so busy. I might need to work on that. Vince is playing in a trio - we are struggling, struggling with practicing. 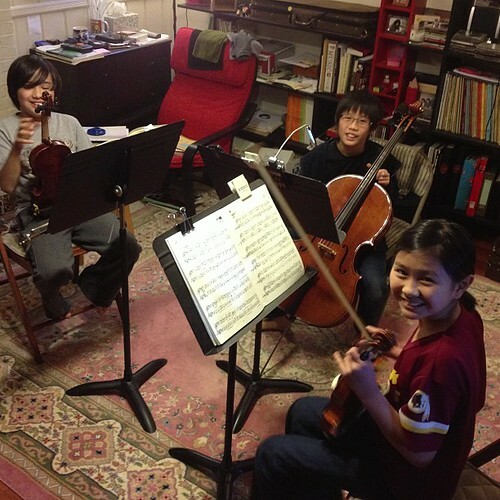 The trio makes him happy, he's first violin - we'll see.